Macayo’s Mexican Grill & Cantina is excited to announce the Partida Tequila Dinner on Tuesday, April 26th at 5:30p.m. featuring Chef Sharisse Johnson, CEO of Macayo’s Mexican Kitchen, along with Tequila Ambassador Sofia Partida for the Partida Tequila Dinner. 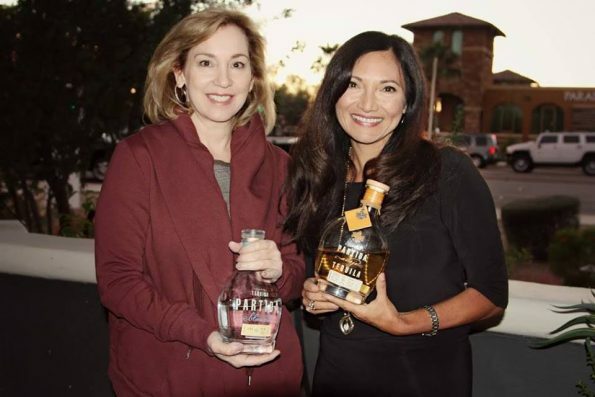 Sharisse is the daughter of Woody Johnson and is honored to host the Partida Tequila Dinner with Sofia, granddaughter of the founder of Partida Tequila. Sharisse has designed a menu specifically for this fun-filled night. Enjoy a specialized four course menu created by Sharisse with each course paired with Partida Tequila. Tickets are $40 per person. Macayo’s has 2 spectacular dinners lined up for April and May, mark your calendars and join Macayo’s Mexican Grill & Cantina for an unforgettable Tequila Dinner. Macayo’s welcomes the community to sign up and enjoy our Tequila dinners. Space is limited, so please purchase your tickets at: http://www.macayo.com/eventtickets/. Be sure to bring an amigo or two and come try on an Ultra-Premium Tequila dinner! For more information and to make a reservation please visit: http://www.macayo.com/eventtickets/.